The purpose of the TALAPRO-1 clinical trial is to evaluate the effectiveness and safety of the PARP-inhibitor talazoparib in men with metastatic (spreading) castration-resistant prostate cancer with tumors that have certain DNA mutations (alterations) and who previously received taxane-based chemotherapy and progressed on enzalutamide or abiraterone. This is an open-label study, meaning that both patients and researchers are aware of the treatment that participants are receiving. Patients enrolled in this study will receive talazoparib 1mg daily. Talazoparib is a tablet taken by mouth, once a day. Talazoparib has been previously FDA approved for use in breast cancer. 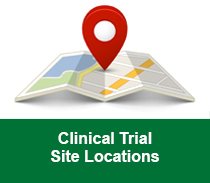 TALAPRO-1 is a phase 2 clinical trial that will enroll 100 participants. The trial began in 2017 and the primary completion date is in 2020. Possible patient benefits include slowing down or stopping the progression of prostate cancer and potentially prolonging life. Patients will also be monitored under close medical supervision for safety during the study period. Possible patient risks: The use of talazoparib will provide no benefit for preventing disease progression in these patients. The use of talazoparib may also cause side-effects. 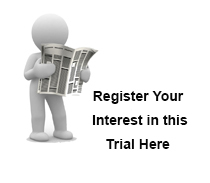 More information and to check your eligibility for this trial.